11 Inch Pizza Melbourne CBD is the Melbourne CBD’s newest gourmet pizza venue. Centrally located in the heart of Melbourne’s CBD, 11 Inch is bringing fresh gourmet pizza to Melbourne’s lunch and dinner scenes. 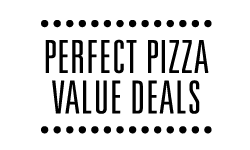 With a wide variety of tasty offerings, 11 Inch Pizza brings you a creative range of breakfast offerings, gourmet pizzas, calzones, focaccias, crispy fresh salads and delicious desserts. 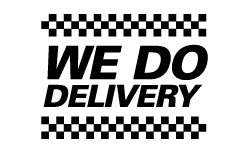 Eat in, take-away or home and office delivery is available by ordering online now. 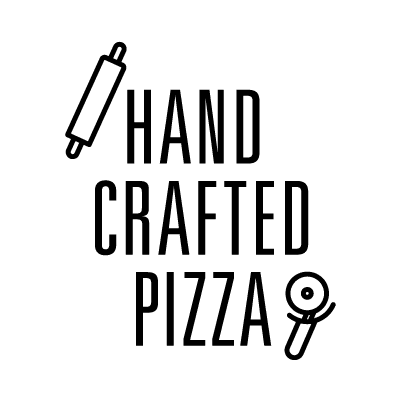 Once your order is received, we will call you to confirm and let you know your classic 11 Inch-style pizza is in the oven, and soon to be on its way! We also provide office catering within the Melbourne CBD, East Melbourne, Southbank, and St Kilda Road business districts, so call now to discuss your next City office function, corporate event or conference. No order too small, no order too large! Everyone’s talking 11 inch so why not try us today? or 5pm to 10pm Weekends. A dining experience you'll never forget, to say the least. An artisan preparation that will leave you wanting more. Got a pretty good portion size for a relatively reasonable price. I would certainly love to return here if I ever get a chance to go back. Holy moly!! We just ordered from here for the first time. The pizza was absolutely delicious, including the gluten free pizza we had! They have truly nailed their flavor combinations (we had the Ricotta and Zucca). Ordering process was simple, delivery arrived 9 minutes earlier than we were told; I mean come on, when does that happen? We can't wait to order again! A cosy place you can get one of the best pizza in Melbourne! Highly recommend the prosciutto pizza, which has a nice pesto sauce on it.+ great taste …+ wide range of options, including vegetarian, vegan and gluten free ...+ great vibe …+ friendly staff …- slightly over priced …I highly recommend this place, these folks know their stuff! Fantastic pizza! We couldn’t have been more impressed with the flavours and quality of our meal. We will visit again! Fantastic food salami pizza was great and the chorizo aioli wrap was amazing. Love the homely vibe quaint location too. The best gluten free pizza I have ever tasted! Highly recommended. One of the best pizza in Melbourne, enjoyed cosy and comfortable seating. Highly recommend the prosciutto pizza. I will surely visit again. This is one of the best pizza shops of Greater Melbourne. Awesome venue, food was delicious, Staff were welcoming. The ambiance of the venue was chill/awesome. Fully recommend 11 Inch Pizza Melbourne CBD. It is true to say that this is a very good pizza. On the top of it, the people are so nice and friendly and smiling. Congratulations guys. Really great pizza! Wish they had a thick base option, but other than that it was amazing. Lovely staff, quiet little shop. Highly recommend! Most delicious vegan pizza I have had. Very friendly staff 11/10 would recommend to all my friends!! So Melbourne is engulfed in an arctic vortex of late and I am feeling too lazy to cook and too cold to go outside for takeaway. What to do? Order delivery of course!We jumped onto menulog to order delivery of 11 inch pizza, 3 pizza, garlic bread and soft drinks for $50ish as a meal deal. Yes it's a tad exxy but you do get pretty decent pizza. There are a number of times when I ordered from 11 inch and their pizza was wayyyy too salty. However I have since asked them to not add salt to their pizza for my order and they are happy to oblige and now they got a happy customer. I love it when peeps look at the order and actually follow the instructions. My fav from there has to be the eggplant pizza. Although hubby would argue potato pizza, carbs on carbs, is wayyyy better. Very good pizza! I had the meat fest with added bbq sauce and it was excellent. Loved the pizza and the vegan cheese was super good! They also have hot sauce that blew my mind, so worth a go! I tried pizza type "salami" here. Especially cheese, olives and actual salami combination was delicious. I would totally suggest you to try that. 5/5. Fast, delicious and charming with a surprisingly diverse menu. It's tiny, but they do what they do very well. Vegetarian and vegan options available including vegan cheese. An awesome little pizza joint in a great location in Melbourne CBD. The staff were friendly and hospitable, and the pizza hit the spot well. That’s the real taste of Pizza!! Finally i found a good Calzone in Melbourne!! Friendly environment though. This trendy hole-in-the-wall is my go-to place for Satuday pizza dinner when my parents (of Italian descent) are in town.Good quality pizza here with the sort of ingredients you'd expect to see at high end pizzerias, but more reasonably priced.